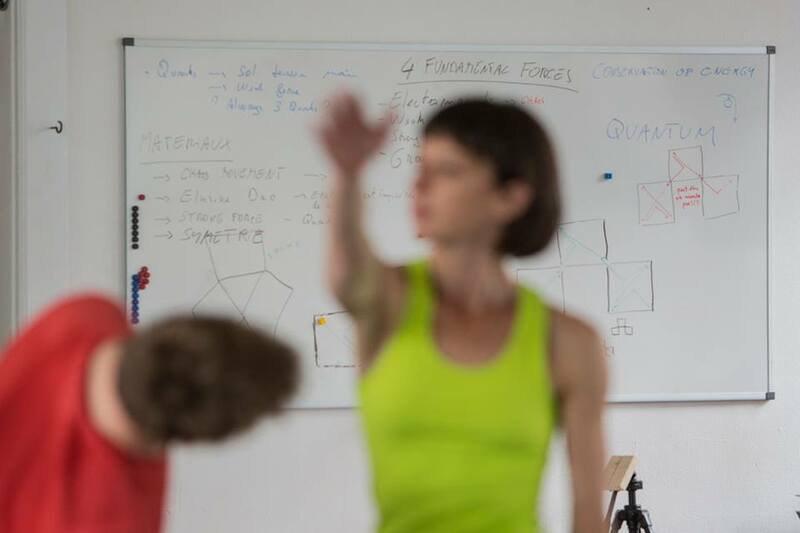 Choreographer Gilles Jobin‘s newest piece “QUANTUM” was inspired by his 2012 residency at CERN, the world’s largest particle physics laboratory, where Jobin worked with physicists under the auspices of the Arts@CERN program. For Jobin’s QUANTUM, six dancers will be illuminated by a kinetic light sculpture designed by another Arts@CERN alumnus Julius von Bismarck and sheathed in skin-tight costumes designed by Belgian fashion designer Jean-Paul Lespagnard. Music for the production, composed by Carla Scaletti using Kyma, incorporates data from the Large Hadron Collider, including the 2012 data with evidence of the Higgs particle (thanks to physicists & inspiration partners Lily Asquith and Michael Krämer of the LHCSound project). The first performances will take place at the CERN CMS Experiment, directly above the detector where the Higgs Boson was discovered last year. Each evening, from 23 to 26 September 2013, audiences will be transported from Theatre Forum Meyrin to the CMS Experiment for the performance followed by a tour into the entrails of the large Hadron Collider and encounters with the artistic team and CERN physicists. For tickets, visit the Theatre Forum Meyrin site. On the following weekend, there will be two performances a day as part of the CERN Open Days (28-29 September 2013) at the CMS experiment; CERN Open Days is one of the rare occasions when the entire CERN laboratory is open to the public. The piece will then go on tour with electronic musician POL running the live Kyma score, beginning with 4 nights at the Théâtre de la Cité Internationale in Paris from 4-8 November 2013. La Cie Gilles Jobin is supported by the Ville de Genève, la République et Canton de Genève et Pro Helvetia Fondation suisse pour la culture. Gilles Jobin est artiste associé à Bonlieu Scène nationale Annecy. Gilles Jobin et Julius von Bismarck ont tous les deux reçu le Prix Collide@CERN 2012. QUANTUM est développée à partir de la résidence d’artistes Collide@CERN Genève. Versuch Unter Kreisen a été développée à partir de la résidence d’artiste Prix Ars Electronica Collide@CERN et exposée pour la première fois au Festival Ars Electronica à Linz, Autriche, en septembre 2012.